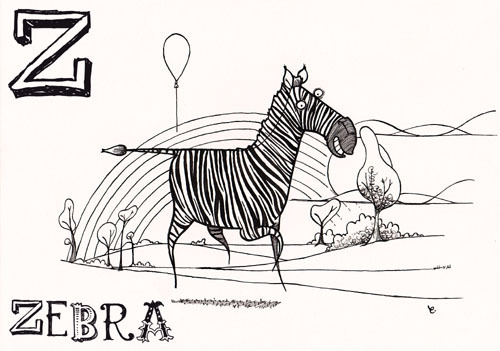 I have now finished the animal alphabet, the pioneering (it wasn't) PRINT THEM OUT AND COLOUR THEM IN IF YOU LIKE online repository of A-Z animal pictures. The sound you can hear is the people who live next door whooping. Anyway, the final letter in any (proper) alphabet is Z and this presents something of a difficulty. 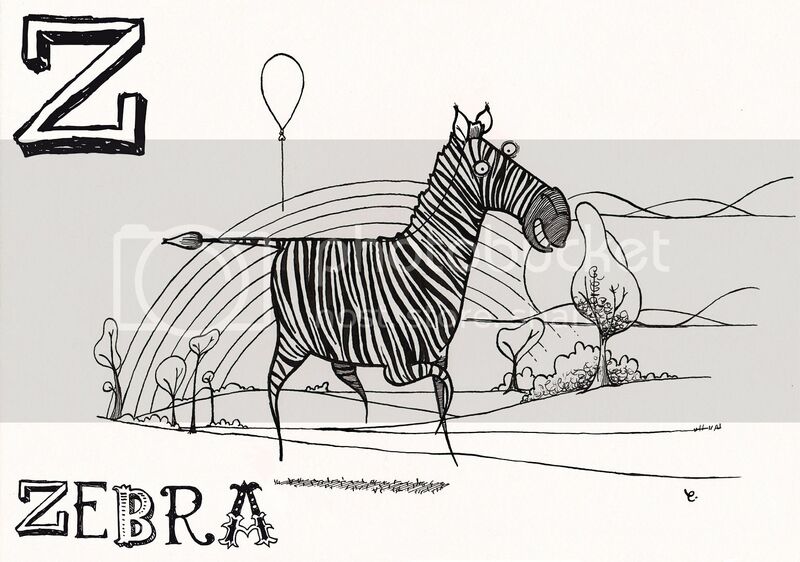 As we all know, there is only one animal that begins with the letter Z and this animal is resolutely black and white, a problem in a colouring-in project. However, the keen-eyed among you will notice that I reached a solution of some considerable cunning and elegance, proving once and for all that I am cleverer than you are. If you'd like to download and print out an A4-sized version of this picture, even just for the sake of completism, you can do so by clicking HERE. To see the whole lot and use it to spell out rude words, click HERE. I don't know what I am going to do with the animal alphabet next. Needless to say these pages will keep you updated as to my inevitable, doomed, attempt to make some money out of it. This will be as exciting for you as it will be financially ruinous for me, so it's something to look forward to. Genius! These have been fantastic, I'll endeavour to send you my best coloring in effort sometime. The obvious thing to do now is numbers. From 0 to Graham' number.